After over 3 years, me (Heather Walker) and my good friend, Barry Williams, are very close to showing our pet project, a comic called PROXY. Wait for it - there's more to come! After over 3 years, me (Heather Walker) and my good friend, Barry Williams, are very close to showing our pet project, a comic called PROXY. Wait for it - there's more to come! 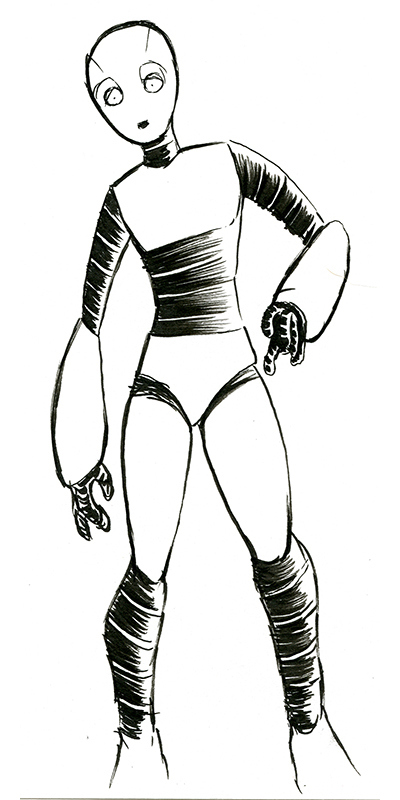 Ink sketch by Barry of our main character, SR-11. 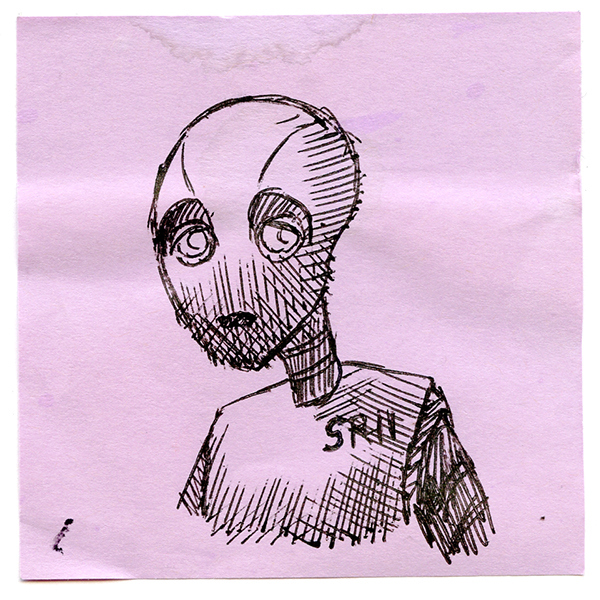 Barry used this little Post-It note sketch of SR-11 as motivation to keep working on the project in between teaching college classes. One of the first concept sketches of SR-11. We needed to figure out how a robot could make facial expressions with a mostly static face. 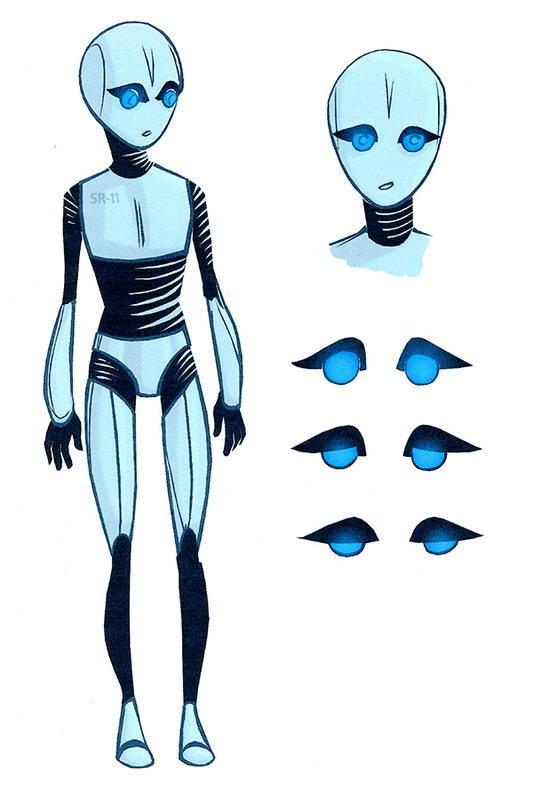 As SR-11 is a young female robot, we wanted to hint that in her stature. One of the first concept pieces we did to completion. 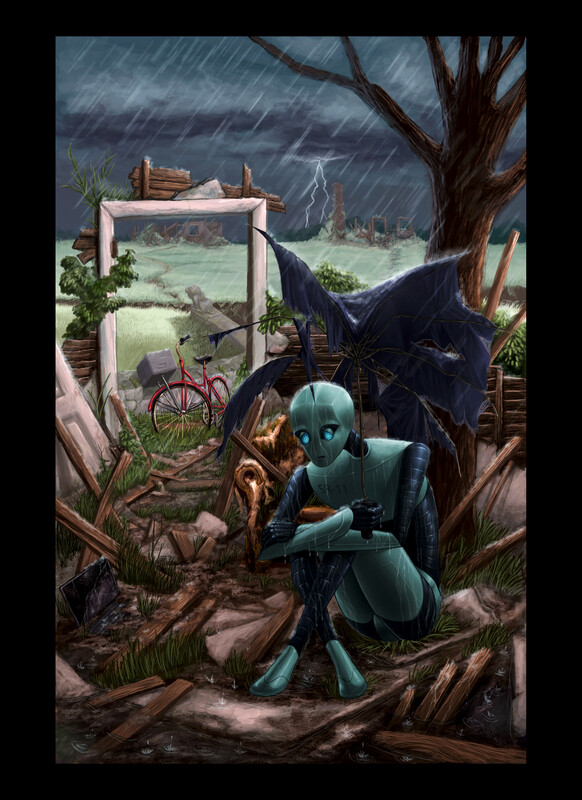 Not a perfect painting, but we wanted to show the environment and how SR11, the protagonist of the story, interacted with the environment.